The future of any business in the derivatives and securities market is being heavily influenced by cost considerations. The only way to stay competitive is to be efficient. At a time where firms are being further constrained by regulation, outsourcing vendors are becoming all the rage. Traditionally, outsourcing has involved all the typical back- and middle-office functions a trading firm doesn’t want to do and shipping it to a custodian or vendor to do for them. Over the years, it has provided the business model for those securities services providers, custodians, and hedge fund administrators. But now regulation is biting hard. Many once profitable business units for banks are now being seen as costly, requiring firms to revaluate many front-and back-end processes. This includes fund administration, collateral management, cash management, FX, derivatives clearing, reporting, data management and reconciliation. Perhaps the biggest shift in outsourcing, as a result of the Basel III capital requirements, has been the significant increase in requests from clearing banks for technology solutions. This regulatory pressure has formed the bedrock of the FIS Derivatives Utility, which has taken on the post-trade cleared derivatives operations of Barclays and Credit Suisse. Banks are seeing more workload to their day-to-day operations increase as more products become accepted for central clearing, and this is where FIS see its opportunity. “From a regulatory perspective, every firm that is clearing has to deal with Dodd Frank and EMIR. Even for the buy-side, these are projects that require changes to operating processes, changes to onboarding, and changes to technology,” says John Avery, director for client and industry engagement, Derivatives Utility, FIS. While it does not remove the responsibility of compliance, it allows firms to use the expertise of the outsourced service provide and simplify these processes. The impact of regulation has been profound, with many banks and buy-side firms being forced to review what is core and what isn’t to their overall business. For certain back- and middle-offices which have traditionally operated on legacy systems, the costs of maintaining and managing the IT infrastructure is becoming too much. “Gradually banks and buy-side firms are having debates about what are core and non-core services,” says Peter Farley, senior marketing strategist, Misys. By finding new cost-effective ways of managing back-office infrastructure, banks are attempting to differentiate what is proprietary and where they are adding core value to their customers. Certain elements of the post-trade have largely become accepted among most banks as a commoditised function. This has allowed outsourcing providers, particularly technology vendors, to come up with a business model and take on these non-core commoditised functions as part of an overall shared resource. “People are happy to outsource to those companies [tech vendors] because they have better balance sheets, and they are geared up more for process efficiency and optimisation,” says Rob Scott, head of market services, Commerzbank. Scott also says that banks are increasingly looking into how FinTech can accelerate cost and process efficiencies, as well as simplifying their core business models. “When you shift towards outsourcing and inclusion of Fintech it's important that you retire your old infrastructure in order to drive the quantum IT change needed which typically is now decades old,” he adds. However, outsourcing commoditised functions to a shared resource has also proved a tough sell for banks which have traditionally remained sceptical to collaborating. Some post-trade utilities have attempted to overcome this, but have to a large extent, sadly failed. This is because banks largely want to be anonymous and ring-fence their services. Despite this, clients are pushing for enhanced visibility within a shared resource. 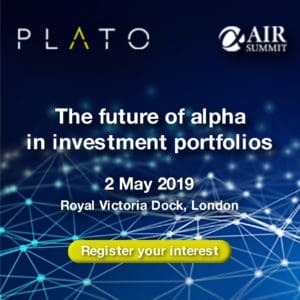 “What institutions are pushing for in the pre-trade area is access to platforms that will give them visibility to multi-bank bid-offer spreads across asset classes at the same time. They will have platforms where they can deal directly with individual financial institutions because the investment banks have put them into place,” adds Misys’ Farley. Regulation is also expanding outsourcing solutions from the back-office to the middle-office, and in some cases with front-office technology. For operations heads at many of the large futures commission merchants (FCMs), they are being pressured to improve their total cost of ownership, resulting in increased consolidation of systems, streamlining straight through processing (STP), and reallocating resources on the front-end. In this sense, outsourcing front-office technology to third-party vendors is making more economic sense for FCMs. This has been the case with banks such as Barclays, BNP Paribas and Citi outsourcing their listed derivatives trading platform to Fidessa. Most recently, JP Morgan decided adopt technology from high frequency trading firm Virtu Financial for US Treasuries. The bank will use Virtu’s proprietary systems and order routing through a trading partnership in the dealer-to-dealer US treasuries market. Aside from costs, third-party solutions also allows FCMs to focus what they want to build in-house, and therefore devote resources to what they think can differentiate them from the competition. “FCMs have for the most part decided that areas such as order management, market access, compliance and regulation are not areas that differentiate them. Rather, they are choosing to differentiate closer to their clients through better execution and algorithmic offerings, and through better analytics,” says Justin Llewellyn-Jones, global head of derivatives, Fidessa. Client demands are also encouraging FCMs to adopt third-party solutions. 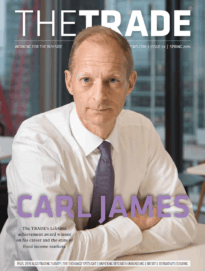 Llewelyn-Jones highlights how the traditional vertical silo in which there is single broker relationship between the buy- and sell-side is gradually eroding, as the buy-side look to spread their risk and seek a better quality of execution. As a result, FCMs are forced to review their technology offering for derivatives to keep up with this new horizontal broker-buy-side relationship. “[This] gets reflected back into the technology stack, because closed proprietary solutions no longer resonate, instead open architectures with multi-broker solutions become the preference,” Llewelyn-Jones adds.